Don’t stick your head in the sand – you have to address those naysayers. While we have all heard the saying, “you have to take the bad with the good,” this is also true when referencing your growing catalog of online reviews. As you’re managing your online presence, asking for reviews, and receiving a continuous flow of feedback, you’re bound to receive a few negatives along with the positive—and that’s ok. While you obviously do not want to be inundated with negative reviews, having a few negative responses, if handled by management effectively, can actually end up turning into a positive for your business. A survey by BrightLocal concluded that the authenticity of reviews is the most important factor for consumers to trust the reviews they read. Finding a business that may not be perfect but one they can trust is a top reason for selection. Responding to reviews shows that your company is reliable and authentic. By regularly looking over your online reviews, you will be able to respond to negative reviews in a timely manner and hopefully alleviate a bad situation while potentially turning an unhappy customer into a fan. Authenticity isn’t the only reason to respond to reviews—research shows that 56% of consumers will avoid a business that has negative online reviews, but 78% of consumers believe a business cares more about them when they see management respond to reviews. By regularly looking over your online reviews, you will be able to respond to negative reviews in a timely manner and hopefully alleviate a bad situation while potentially turning an unhappy customer into a fan. You will also gain the respect for taking their opinion seriously. Research also shows responding to a negative review isn’t only beneficial to the reviewer, but can make your company more appealing to other viewers of the review (Wang and Chaudhry). 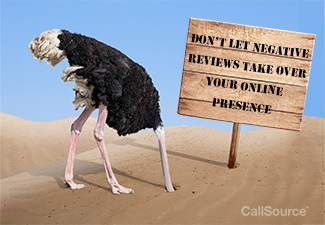 When responding to negative online reviews, more due diligence and thought must be put into the response than with a positive review response to achieve increased satisfaction. According to this research study, when managers respond to a negative online review, it is construed as adding value since they are acknowledging where they may have went wrong. Keeping accountable and citing any actions they are taking to rectify the issue adds to the credibility of the post. Contrary to the positive effect that a negative review response has, if a manager responds to a positive review with as much detail, it can have a negative effect in that it may be interpreted as a promotional activity. And your consumers are more forgiving than you’d think—only 8 percent of them would expect a business to have a five-star rating before they will consider using them. While negative reviews are obviously not wanted, they’re inevitable. As long as they’re handled properly, you don’t have to let them take over your online presence. Wang, Yang, and Alexander Chaudhry. “When and How Managers’ Responses to Online Reviews Affect Subsequent Reviews.” Journal of Marketing Research (In Press).